Every Volunteer Manager wears about twenty different hats. It’s the reality of nonprofit work, where limited resources require us to become experts in many diverse fields. What were you hired to do? Recruit volunteers? You will need to get up to speed on marketing and copy writing. Are you the hands on manager? Prepare to master the art of supervision and hone your HR skills. Twenty Hats (www.twentyhats.com) is authored by Elisa Kosarin, CVA, a nonprofit professional with 15+ years experience in marketing, development, and volunteer management. She is deeply familiar with the challenges faced by nonprofit staff who wish to improve their skills with little time and few resources. 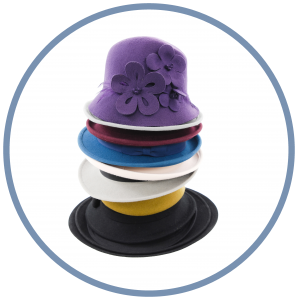 She founded Twenty Hats to promote trainings that expand the skill base of her colleagues.